Sparkling work on the training track has translated to a first-up win for Faatinah at Moonee Valley in his return to Australian racing. Faatinah was taken to Dubai for a campaign early this year and raced three times there for a win and a second before being unplaced in the Group One Al Quoz Sprint in March. The sprinter returned home to be prepared for his spring campaign in Melbourne which has started in promising fashion with the gelding taking out Saturday’s Listed Carlyon Stakes (1000m). Faatinah began quickly and surged forward under jockey Regan Bayliss to sit on the pace just off leader Sunday Escape. On a day when the pattern was favouring horses on the pace and near the fence, Sunday Escape and Faatinah had a three length break on the rest of their rivals turning for home before Faatinah edged clear. Faatinah ($6.50) had a half-length to spare over Sunday Escape ($71), with Mr Sneaky ($6) doing his best work late to finish another neck away third in his season return. “He’s never worked better in his life than he has going into this race,” Faatinah’s co-trainer David Hayes said. “And we were absolutely thrilled that he showed that in the race today. “Maybe he went a bit quick but Regan won the race, so he got it right I suppose. Hayes now plans to set the six-year-old for next month’s Group One Moir Stakes over the same course and distance. Faatinah was beaten less than two lengths when sixth in the Moir last year. “I reckon he’s a better horse than he was this time last year,” Hayes said. Bayliss said Faatinah showed his toughness. 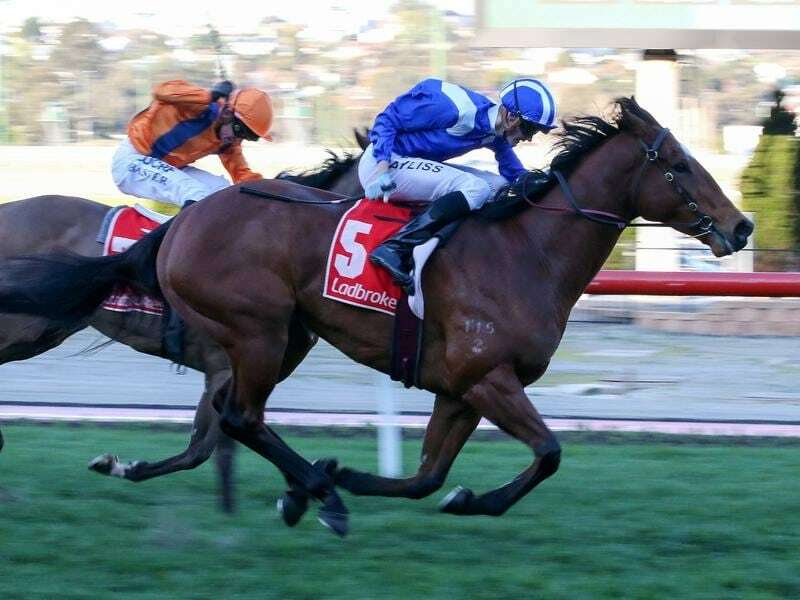 “He’s got a high cruising speed and although that race was run quickly and we were on-speed, he likes a truly run race and it takes the turn of foot out of the other horses,” Bayliss said. Damien Oliver was suspended for eight meetings after being found guilty of careless riding on Merriest, winner of the opening race. Oliver’s suspension will not start until after next Saturday’s Caulfield meeting where he will ride Vega Magic in the Group One Memsie Stakes.